Today we take you to good old Europe, the “mother ship” of sustainable tourism. Green Key is one of the most recognized sustainable tourism certification schemes in Europe and particularly strong in the Netherlands. But why? 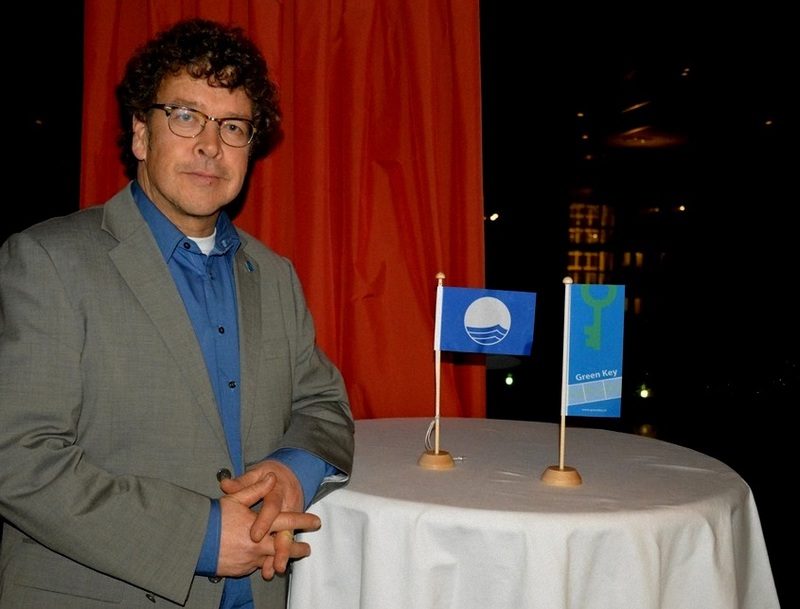 We asked Erik van Dijk, Dutch Green Key and Blue Flag national operator, and former Green Key International coordinator. Here are his answers. Which destinations around the world lead in sustainability. Erik, can you tell us a bit about your professional background? I studied Geography at the Radbout University of Nijmegen in The Netherlands, then worked two years as a geography teacher. In 1989 I started my carrier in tourism and leisure, working for the Dutch Research Institute for Tourism and Recreation. After that I worked 12 years as product developer at the Netherlands Bureau for Tourism, the national organisation in charge of promoting destination Holland abroad. I was responsible for the Dutch Coast and the theme “Nederland Waterland”, showcasing Netherlands as destination for watersports and tourism. Since 2007 I’m involved in sustainable tourism, as national operator of the Foundation for Environmental Education Programs Green Key and Blue Flag. During 2009-2011 I was the international coordinator for Green Key. Why is sustainability in tourism important? Sustainable development is very important for public spaces, but also for the sustainability of accommodation providers, for instance. As developer of tourism destinations, I know about the challenge to serve private and public sector interests, both of which constitute a destination. Apart from sustainability, public places within destinations – such as coastal areas with their parks, dunes, etc – must also fulfill quality criteria, such as parking space and accessibility. Has sustainable tourism awareness changed in recent years? During the last five years there has been a change towards more focus on Social Corporate Responsibility in The Netherlands. More and more entrepreneurs are thinking about the future. We read about alternatives, changes from linear to circular economies. Not just in tourism, but throughout society and business sectors. Sustainable purchasing is becoming more important, as companies are more and more aware of the future and sustainable alternatives. In a tourism context, we see that many hotel reservations for business events now require eco labeled accommodation. Your key insights as leader in the sustainable tourism field? We can make a change with initiatives such as Green Key. We can influence supply chains and purchasing decisions. Accommodation providers working with Green Key are actively seeking sustainable products in their purchasing process, which triggers innovation and development of eco-friendly cleaning products, food & beverage, alternative energy systems, showers, lighting, LED, furnishing, etc. I know managers of tourism accommodations who will only purchase on CSR [corporate social responsibility] terms. If suppliers don’t have their own CSR policy, they won’t sell anything anymore to those accommodations. And I really think that this is just the beginning of that process. At the moment, the focus of CSR initiatives is mostly on the P of planet and the P of profit. I see that there is still a challenge to work on the P of people. Tourism industry needs to improve relations with the society – at destination level but also on the long term. The opportunity is to find a right balance between hospitality and sustainability. Too many tourism professionals and travellers still believe that sustainability threatens quality. I should say: to the contrary! Working with products and services in a way that is socially and environmentally responsible, will increase the quality of hospitality. You can develop many aspects of staying in a hotel, restaurant, campsite, lodge, or marina without compromises on quality. And if you look to food & beverage, there is a huge opportunity for improvements. Organic, quality food is much tastier and if sourced locally, you can tell a story. Eating asparagus grown at the farm on the other side of the road! In which regions of the world do you see most interest and momentum for sustainable tourism as business and development strategy? My work is focused on the developments in The Netherlands. Although CSR is gaining importance, there is still a lot of work to do. I really like to share our experience with fellow Green Key programs abroad as part of the international cooperation facilitated by the Foundation for Environmental Education [head organization of Green Key International] – especially in countries that have still a long way to go, including many destinations in Asia, Africa and South America. In the Netherlands, the travel industry pays a lot of attention. Tour operators and travel agencies work with Travelife on improving the livelihoods and conditions of their destinations. And of course there is high awareness of the need to reduce CO2 emissions in traveling abroad. Your favorite 2015 tourism, travel or sustainability book? 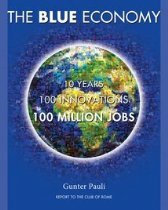 [easyazon_link identifier=”0912111909″ locale=”US” tag=”slpus-20″]The Blue Economy[/easyazon_link] by Gunther Pauli. Dr. Gunter Pauli is challenging the green movement. He has been so much a part of the “to do better, to do more”. He is the entrepreneur who launched Ecover; those products are probably in many of your homes. He built the largest ecologically-sound factory in the world. His participation in the Club of Rome and the founding of Zero Emissions Research Institute (ZERI) has made an immense contribution to sustainability both in terms of research, public awareness and articulating a visionary direction. After so many years dedicated to sustainable tourism, what keeps you going? I am encouraged by the many innovations. The challenge is how to implement those innovations in the tourism industry. Also there is still a lot of work to convince hospitality entrepreneurs of the benefits linked to sustainability strategies and initiatives at their accommodation. Particularly small, family-run hotels work hard for their daily business, with little time to find out more about sustainability. 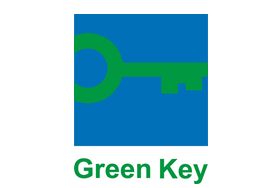 As Green Key certifiers, we can support and help. The fact that we have been able to help change the tourism supply chain by connecting our Green Key certified accommodations with suppliers of sustainable goods and services. That we can support entrepreneurs and small business owners and managers, thanks to our intermediary function in The Netherlands. And of course I’m very proud that we increased the number of Green Key certified accommodations: When I started in 2008 as national operator, we had 165 affiliated hotels. Now we are aiming for 600 certified hotels in 2016! When and why did you decide to lead Green Key International and now the Netherlands chapter? Working at the Netherlands Board of Tourism as developer I saw that there was a need for improvements in sustainability. I met the president of my board and we talked about Blue Flag and Green Key. Green Key Netherlands was searching for a new director at that time and because I had a large network in the tourism industry and public sector, they asked me to become Green Key and Blue Flag national operator. How does Green Key help tourism companies and destinations? By setting up a tool and practical criteria to improve sustainable elements within the premises. Focus on practical implementation, covering all aspects of the business. Green Key helps with internal and external communication, energy, water, gas, food & beverage, green areas, purchasing, etc. We give a lot of support and training, and try to build a strong relation with all business owners. For example, in The Netherlands we organize a national launch event every year, with workshops, exhibitions and information. On our website we have the “my Green Key” internal pages, also with information on sustainable products and services. Throughout the year we organize workshops where suppliers of goods and services demonstrate practical solutions for hotels. From a hotel’s perspective, what different steps are involved to obtain and maintain Green Key certification? The first thing a hotel or other type of accommodation will do is to prepare a document outlining the consumption of gas, water and energy over the last three years, its lights and (electric) equipment, and its future ambitions. The hotel then sends us this document, together with pictures, via our website. When the preparations are done, a Green Key auditor will visit the property and – if satisfied – hand out a Green Key certification. One year after the first audit, we do the second audit with advice on improvements. After that, we audit every two years. Each year, the accommodation sends us its data on consumption of water/gas/energy/litter. And we have a very useful benchmark tool on our (internal) website, allowing each company to compare its performance with other Green Key certified accommodation businesses. Your thoughts on the many sustainable tourism certifications out there? Why should tourism professionals choose Green Key? I do see a danger in the development of “own eco labels”. If an eco label is not audited by a third party, then I must question its quality. Eco labels only used as marketing tool don’t really benefit any business and are likely to lead to accusations of false claims and greenwashing. I think that we must strive and concentrate on just a few labels. Too many labels confuse consumers. In The Netherlands, there are essentially three active international labels: Green Globe, the European Ecolabel for Accommodations, and Green Key. With 600 certified accommodations we are by far the largest and best-known in Holland. Why Green Key? Because it is a program by an independent NGO which collaborates with institutions such as WHO and UNEP. We don’t have commercial goals and Green Key is absolutely independent. And I think that our USP [unique selling proposition] is that we try to build a lasting, personal, and supportive relationship with the managers of certified accommodations and companies providing the right products and services. Learn more about Green Key and the Foundation for Environmental Education, or connect with Erik van Dijk on LinkedIn. Our interview with Erik van Dijk was facilitated by Green Key International as part of a special series of interviews. 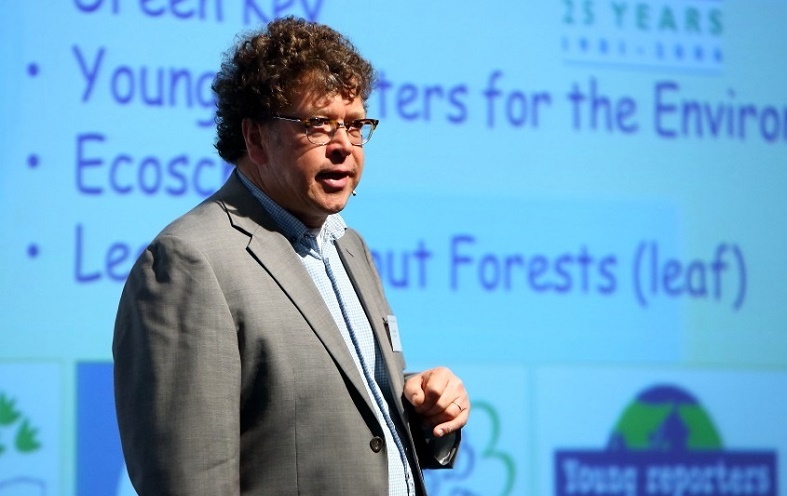 Enjoyed our interview with Erik van Dijk, sustainable tourism expert and Green Key director in the Netherlands? Spread the word!